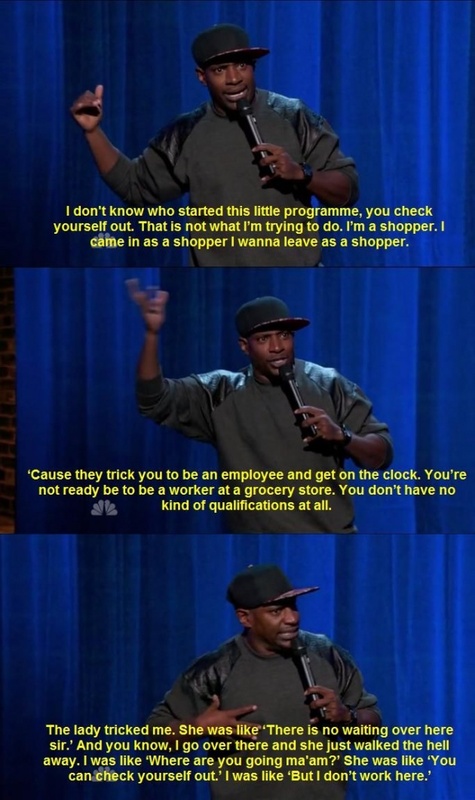 The truth about going shopping nowadays. Rod Man's set on Last Comic Standing. I prefer the Canadian version of this. Every item is $2 at the check out because I only know one code and buy everything in bulk. If they inspect you what are they gonna do? I'm sorry sir, I don't know how to operate this machine.